Why do you let these excuses run your life? I don’t know about you but it sure don’t look like excuses are what the world needs right now. Excuses won’t make your life worthwhile. And it is NOT what your people need to move their life forward. “From everyone who has been given much, much will be demanded; and from the one who has been entrusted with much, much more will be asked. Let that wisdom sink in, y’all. Now, are you ready for the big epiphany that you’ve probably (secretly) knew all along? YOU have a wealth of skills and talents that can solve people’s problems. Yes! We mean, YOU, reading this right now! The opportunity to move forward and succeed is right in front of you. Do the thing you said you’d do! TAKE ACTION and STRIVE FOR THE LIFE YOU WANT. Don’t take your gifts for granted, don’t waste your potential, and don’t kill your purpose. Let everything you do, everything you are and everything you will become be for the greater good. Be in tune with your superpower, embrace it! And then never stop evolving, dreaming and doing. We’ll be helping out a real-life cowboy get his horse training business online and overcome his aversion to technological know-how, so he can take it to the next level. It’s going to be a huge transition but since training horses and cowboying it up are his superpowers, nothing’s going to stop him from understanding the fundamental principles in building the foundations of a successful online business. David is a father of two teenage kids, married to his amazing wife, Katie, and is a day-working cowboy. Before we proceed, let’s debunk the common misconception that cowboys equal to rodeo. There are different kinds of cowboys, with different skills that are remarkable labors of love. To cut it short, not all cowboys do rodeos, y’all! Some herd animals, some do the field work, and others are more like horsemen. Take David as an example, he is a working cowboy who specializes in horse training. Growing up in a family of cowboys, he started his first colt when he was in high school, and also trained several horses for other people to make some money while he was in college. 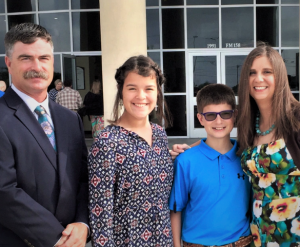 But despite being a Texas A&M graduate, he found it difficult to decide which career to pursue, the world was changing and there were a lot of different paths to choose from. With tons of encouragement from Katie, David went on to start his career on horseback as a Feedyard Cowboy. He loved this job and immediately regretted leaving that for a nine-to-five career. By 2005, he decided to leave the office, pick up where he left off as a cowboy and help raise the kids at home. So, how exactly did he start going online if he’s a full-time cowboy and horseman? Working with animals that weigh about ten times more than him, he is met with a lot of near misses and near death experiences on a daily basis. So, he goes on to share his daily escapades with his family and friends, to the point where it’s almost a running joke that he almost always has at least one close call a day. But leave it to his wife to set the stage! After years of gentle urging, Katie finally got David to start blogging. Now, this is where it starts to get more interesting. His blog, aTexasCowboy.com, started to attract audiences in no time! Hundreds of people enjoyed his posts — it was a surprisingly huge hit. Juggling an unmonetized blog with his already demanding profession didn’t feel like a path he wanted to keep pursuing, so he inevitably threw it to the back-burner. But despite not updating their website, his audience stayed. And it was another instant hit! He can’t keep training horses forever, not at this level and not when he is getting older. Join us as we help David refine his avatar and share our content creation strategies to turn his ideas into lead magnets and offers. Are you stuck figuring things out by yourself? Then saddle up, it’s time to take action and get this show on the road! Our success story today is an amazing, awesome success story from Teresa Perleberg. How amazing would it be, you guys, to get 67 people all of a sudden join your membership? And then what if you had 60 people, and you doubled your income for sending three emails? Absolutely, positively an amazing story, Teresa. Thank you so much for sharing that. I want to jump in here and say, if you ain’t on the Flipped Lifestyle member calls that happen every couple of weeks, you’re missing out because they are a shot of adrenaline, amazing experience. You get almost a hundred people showing up on a call. We’re throwing out answers to questions left and right. And it’s just one of the funnest things we do. So for all you Flip Your Life members out there, or for anybody listening who’s not in the Flip Your Life community, you need to be on these member calls, get in there. They’re amazing! 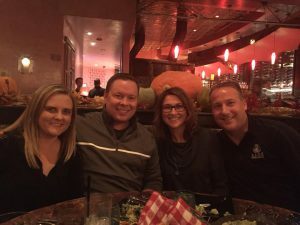 Today’s Can’t Miss Moment is eating dinner with our Flip Your Life member, Lea Saccoman, and her husband. Not too long ago, we were able to have a dinner with Lea and her husband, and it was an awesome time. We just got to hang out and talk and learn more about them and what they’re trying to do online, and just have a really good time. It was really, really fun. We went to a really upscale Mexican restaurant, which was amazing. We just had a lot of good laughs and enjoyed each other’s company a whole lot. We were about to go on a trip and sometimes when me and Jocelyn go on trips, we will go into our customer service management system, and we will look up and see if we have any members there. We were heading to this town and we said, hey, let’s see who lives there. And Lo and behold, there was Lea Saccoman. Lea, I hope you’re listening to this. But we reached out to her and said, “Hey, we’re going to be in town. You want to grab dinner? And then she was like, “Yeah!” We jumped in there and had a great time. It was so much fun and that’s one of our favorite things to do is to connect our travels with our Flip Your Life community members and it was just really awesome. Jocelyn: Hey y’all! 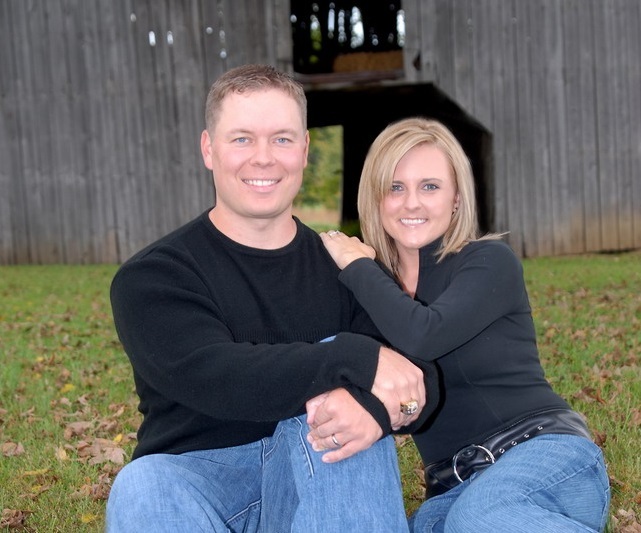 On today’s podcast, we help David take his horse training business to the next level. What’s going on, everybody? Welcome back to the Flipped Lifestyle podcast. It is great to be back with you again this week! I, personally, cannot tell you how excited I have been for this podcast interview all week, I’ve been staring at it on the calendar. We have an amazing guest, a member of the Flip Your Life community on the show today, and he is a real-life cowboy! We’re going to be talking about horses today, we’re going to be talking about cowboying it up. I went to his Facebook page and there are pictures of him on a horse. 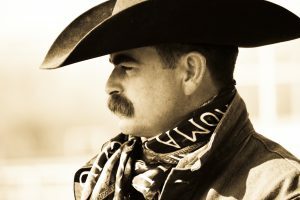 He’s got an actual lasso strapped to him, with chaps and everything, and his profile picture is just this awesome picture, with him looking off into the sunset and a duster and everything else. And when you look at his page, it actually says ‘Self-employed at Cowboy’. This is the most cowboy, awesome dude you’re ever going to meet in your life! Really excited to welcome David Neeson to the show today. David, man, welcome to the Flipped Lifestyle podcast! David: Thank you, guys, I’m glad to be here. Shane: How’s that for an introduction? Jocelyn: You better live up to all this hype now! We were just talking about before we got on the air, about trains rolling by and a log inn next door and all sorts of country stuff that nobody else would really get, so I’m really excited you’re here, man. I’m really excited you’re here! David: I’m glad to be here. Jocelyn: All right, David. Well, before we jump into all your online business stuff, let’s talk a little bit more about you, your family, and your background. I’ve got to hear more about how you decided to become a cowboy. Is this a family thing or what’s going on with this? Shane: And when we say he’s a cowboy, he told us before we got on air that when he fills out his taxes, he gets to write down ‘cowboy.’ We get to write down something boring like an ‘online entrepreneur’ or something. This dude writes down ‘, cowboy.’ Tell us a little bit about more about that. David: To reach way back, it’s definitely a family heritage. My Dad and his dad before him, that sort of thing. But growing up and going to college, you kind of start thinking maybe that’s not really a way you can make a living. People start to tell you different things and that sort of thing. As I started dating my wife in college, I actually probably was more inspired by her to just go do what I wanted to do and not follow everybody else’s confirmation or conform to everybody else’s ideals. That kind of led down that road. My parents weren’t so happy about it when I told them after I graduated from Texas A&M. I told them I was going to be a cowboy, they weren’t too happy about that but I started my first colt while I was in high school and throughout college, always had one or two horses on the side that I was training for other people, as I worked through college and then had those other jobs. When we got ready to start having kids, we both actually had W-2 income, worked long crazy hours, and I had just decided that one of us needed to stay home with the kids. She was definitely career-oriented, that’s when I first made the decision in 2005 to step out and say, “Okay, I’m hanging out my shingle and I’m going to do it.” That allowed me to free up some time to be home with the kids, that sort of thing, and then she could still pursue her career. It’s just kind of grown from there. The cowboying is real cyclical. I’m definitely a working cowboy. You get a lot of weird questions when people see how you’re dressed. They even say things like, “What do you do for a living?” And when I say I’m a cowboy, they go, “Yeah, yeah, I can see that. But what do you do?” as though I went down to the Halloween costume store and bought this stuff, then put it on. And that’s not it, it’s a definitely what I do and some people think cowboys are dead, they don’t exist anymore or they say, “What do you do? Do you rodeo?” And that’s not what I do either. I am definitely a working cowboy on horseback all the time. I don’t build fences or haul hay or anything like that unless it’s for myself. But for the people that hire me, day-to-day, I’m on horseback and I’m kind of a specialist, I guess you’d say. Shane: So this is really focused on horse training. This is focused on getting horses like young colts and getting them where they need to be. Are you training working horses or just riding horses? David: Well, I’m trying anything, and that’s what my training business has been based on. 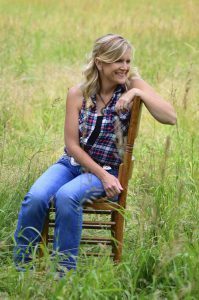 I have actually been trying to focus more on– there’s an event, an association called the National Reined Cow Horse Association and that is kind of where I’ve been gearing what my training ultimately looks like because that fits what I do on a day-to-day basis on how I ride my horses. That being said, I get a lot of empty nester types. Generally, women who’ve always wanted a horse and now their kids are gone from home. They finally have some freed up capital to go buy a horse but they have zero idea what to do with it, then the next thing you know they have this 1,200-pound lap dog that they don’t know what to do with and they’re actually afraid of it. So that becomes my customer a lot of times for the training and the people that bring their horses to me in that in my barn that I’m working with. My own horses are much higher level, much higher performing but the people that I work with tend to be a much lower level. I’m not saying that in an insulting way, just their knowledge base is a lower level, I guess you’d say, their experience level. I’m trying to take that online because what I do is hard and I’m getting older. Not old yet, I’m just 44, but I know I can see it on the horizon that I can’t do this forever and not at this level. At an easier horse, at a more refined training level. I know guys that are in their eighties that are still horseback every day, but they’re not getting on the rough ones and the bad ones. Shane: Right. How old are your kids? David: My daughter is 15 and my son is just about to turn 13. Shane: You’re also at that like, “Oh gosh, my kids are going to be gone in five to seven years.” They’re going to be in college or whatever, and we’re all kind of pushed to that and I think your story is so amazing because a lot of people come to us and they’re like, “I’ve got to change my life.” But you kind of already flipped your life once. You said, “You know what, this is my dream. I want to be a cowboy,” and you kind of bucked the system and didn’t listen to the naysayers and you guys did that. And now it’s like, “Man, that was awesome.” Now it’s time to do it again and pick up that online business. Jocelyn: And it’s awesome because you’re already halfway there. You’ve already overcome so many of the internal fears that I think a lot of people have when they’re starting any type of business, whether it’s online or not online, so I think that’s pretty cool that you’ve already crossed that bridge yet. Shane: — Done it before. Yes. We always talk about people having an unfair advantage. Everybody’s got some unique part of their story that can give them a leg up to get to the next level and I think that what’s awesome about your story is you’ve kind of went through some of that, so now as you transition again, it’s going to make it that much easier. Just revisiting that ‘Why online business?’ You know, why this? Compared to anything else you could do with such a great background. You’ve got a degree from Texas A&M in agriculture or whatever. You’ve been a cowboy for so long you could go teach or do something else. Tell us about why though, why online business specifically? Tell us a little bit about your audience that you’ve kind of built on your Facebook page and other reasons why you think online business is the next step for you. Shane: “I don’t want to hear it but the world might,” kind of deal, right? Jocelyn: I have no idea what that might be like! Shane: Thank you, Jocelyn, I appreciate it. David: Oh, like, there’s zero appreciation that I’m actually standing here in front of you right now because I seriously almost died! David: That took off. It actually didn’t take off right at first. You know, friends and family were so kind and generous and got on and followed it. We wrote quite a bit for a while. Then it just all the sudden exploded over a few weeks or maybe a month — the audience got big, like bigger than I ever expected. And then it started to turn into a job. I wasn’t getting compensated and I started to balk at it because I’m a perfectionist. I like everything to be exactly right. I have zero tolerance for poor grammar and exactly the opposite of the things you preach, you know, online. I would proofread it 10 times before it got published. It was turning into a lot of work and a lot of time for each blog. And I kind of just quit and my wife got angry and frustrated and then mad at me, so she quit pushing me and we just let it die. The audience kind of kept clinging on. Then we sort of pivoted from the website to Facebook, that made it easier to do little shorter quick posts but it just sat there for a while kind of idle. Katie actually stumbled on y’all’s podcast and you guys are probably the ‘how’ for us. Our ‘Why’ is that we’ve been self-employed entrepreneurs for a while now. We want to have the lifestyle for our kids to be available for them. The ultimate ‘why’ is that I can’t do this forever at this level, and even now, to be able to do enough during the day to keep enough horses in my barn and pay the bills and do that sort of thing is hard to do. It’s definitely an economic-based business. So as the economy is good, my business is good. When the economy falls, my business falls because horses are a luxury item for most people. And so, the online community, when we heard you guys talking about it, we were like, “Oh my gosh, it’s a lightbulb moment!” You know, just definitely a paradigm shift in the way we thought about things in that, this is a way to reach literally thousands of people and still just keep doing what we do day to day but put it out there in a format that other people could get access. It’s more economically feasible because when you send a horse to me, it’s expensive for you. But to be able to go online, we’re still struggling with the price point of what that looks like, but it’s definitely a much greater savings for you to do it that way and to be able to dabble in it at your own leisure than it is to send a horse to me. Shane: What’s it called again? What’s your blog? David: The blog is atexascowboy.com. Shane: And then what is your Facebook page called? Shane: Do you still blog regularly on the blog? I know you post on the Facebook page. David: Right, yes sir. We posted one recently, but prior to that, I bet it’s been two years since the last post. It may be a little longer than that even. We had someone come to us one time and they had 100,000 Facebook followers and they weren’t making money online, and people don’t realize if you just create content, if you just put something out there, sooner or later someone will listen and sooner or later some of those someones will give you money for what you know and do. Shane: “Maybe I should sell them something?” I love your story, too because you had some frustration with, “Man, I’m doing all this blogging but I’m not making any money on it.” And you were so worried about what to put out there. A lot of your time was going toward that perfectionism, getting the right story told and things like that, which is fine. It got frustrating because you weren’t being compensated because we’re humans. We want to get money for our labor. Jocelyn: — Yeah, just that you’ve had to overcome so far? David: Probably, initially, the mindset struggle for me is that I’m not professional enough or I’m not accomplished enough, I guess would be a better word, to put myself out there in front of thousands of people. However, listening to you guys and all the other people on your podcast that come on so regularly and reading stuff in the forums, it’s clear that that’s not an issue and that’s just something I have to overcome. It’s actually getting easier to see that, especially as we’ve kind of pushed forward through the whole process and following y’all’s blueprint. But the real fear, I think, for me, is the technological aspect of it. I’m definitely technology-phobic. I’m right at that age where, you know, the Internet was a thing when I was in college but it wasn’t a real thing yet. We still had professors that said, “You cannot quote or refer to an online internet source in any form of paper or project.” That was an automatic failure. So, the people were still just trying to figure out how to get an account and do things online. Shane: So, they made you scared. Shane: They basically made you scared of the internet! David: Yeah, so technology still frightens me. My wife is four years younger than me and technology was a bigger deal when she came through there and she’s just learned how, you just get on there and you just start clicking buttons and you just– I came from an era when you clicked the wrong button on a computer, you lost everything! Shane: You broke it. You literally shut it down, right? David: Yeah. I’m afraid to start pushing buttons and clicking and just moving around through it. The iPhone technology, the new smartphone where you can swipe around with your finger, has alleviated some of those fears but just the general lingo and that sort of thing, in general, frightens me and that’s one of, between my wife and I, our frustrations where she’s trying to help me and it’s not pushback but I know to her it looks like pushback. Shane: We all have these fears. Let’s touch on those two things really quick and then we’ll talk about some more specific actionable items that we’re going to do going forward. Okay. Number one, that mindset struggle of, “Man, I’m not accomplished enough. I’m not good enough. That fear usually springs from, we’re all caught up in our own universe. We’re all caught up in our own world. 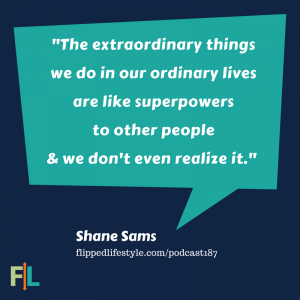 The extraordinary things that we do every day in our ordinary lives are like superpowers to other people and we don’t even realize it. For example, I don’t know if I could actually get on a horse. I’m serious! Jocelyn: I’m terrified of horses. Shane: Jocelyn is terrified of horses. We went to Keeneland, which is a racetrack in Lexington, Kentucky one time. I was like, “Hey, let’s go down to the gate.” We were dating at the time, and I didn’t know Jocelyn was actually afraid of horses because she got threw off one when she was a kid and we’re from Kentucky. We’re supposed to like horses running around like Kangaroos in Australia. You know what I mean? So, we walked down to the gate and I look back and Jocelyn was like crying. I’m like, “Oh my gosh, this is our second date! We’ve gotta get out of here!” And I was like, I freaked her out on our second date, she’s going to leave me and never like me again. But then she told me, she goes, “No, it wasn’t you. It was just, I was afraid of horses.” And it’s so funny though because you’re like Horse Ninja, you know what I mean? But to you, that is so a part of your life, your grandfather, your father — everybody was a cowboy. So to you, it’s like, “Meh.” To everyone else, it’s expert enough. You are the expert! And I’m telling you right now, I’m looking at your picture now. You have the greatest mustache I’ve ever seen in my entire life. It looks like Teddy Roosevelt jumped out of a painting. Jocelyn: So, are you now becoming the president of the David Fan Club? Shane: Yes, I am going to become the president of Through The Eyes of A Cowboy and atexascowboy.com fan club. But that fear is so misplaced in all of us because you are expert enough. To everyone else looking outside in, they’re like, follow that guy to freedom and you’re like, “I don’t want to tell anybody that I’m an expert,” because it’s just normal for you. Jocelyn: When I think about stories of other people that have really had an impact on me, it’s not the people who seem to have it all together and maybe they’re the world-renowned expert in something. Those aren’t the ones that stick with me. The ones that stick with me are people who are just living their lives, but they’re doing something really cool at the same time. That’s what sticks with me and that’s why a lot of you guys who are listening to this right now, that’s why you’re here because you heard that Shane and I were teachers and we started a business, and it grew up. We were able to leave our jobs because of it. That’s why so many people who are listening to this podcast, that’s why you’re listening to us right now. It’s not because we wrote a book on online business and how wonderful we are at it — it’s not because of that. It’s because we’re normal everyday people who made an online business work. Shane: I was watching some of your videos earlier this morning because I’m the president of the David Fan Club. I was watching some of your videos and just seeing you and the way you are on the horse is like, anyone who doesn’t know how to do that is going to look at you immediately and give you expertise. I think you’re well on your way to being able to put yourself out there. Now, that’s not to say that people won’t come up to you and say, “Well, I could do better than that,” or whatever. You know, but that’s not the people you’re trying to lead. David: It’s helped being in y’all’s community to see that. And being on Facebook has helped, too. There are definitely haters out there. You just have to learn to kind of look past them and not let it drag you down. Shane: Yeah, exactly. When you actually have horses dragging you down in real life, people dragging you down is not an actual thing. You don’t have to worry about that because you almost died yesterday. Jocelyn: I mean, the tech issue, that is also a big deal. You know, I think that we’re a little bit younger than you are – not too much – but I think that even those few years they do make a difference, you know, and I think that a lot of times people think, “Well, because I’m older and I didn’t grow up with that,” or you know, because they didn’t have this in school, “there’s no way I can do that.” But you’re proving all those people wrong, you’ve found a way to make it work. Shane: Before we talked to you, we talked to another Flip Your Life member this morning. Her name is Debi, and she was in an episode a couple of weeks ago. She is a 60-something-year-old grandmother of five who has been a flight attendant her whole life. Her start was, she figured out the technology but didn’t know what she could teach. Your struggle is you know exactly what to teach, you’re just figuring out the technology. So, we all have these crazy problems and we just have to overcome that one thing that’s holding us back and we’re going to go through the obstacles. 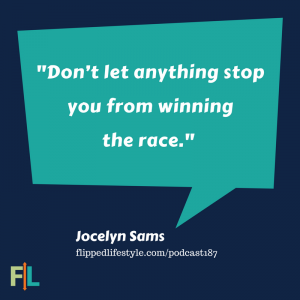 Jocelyn: The thing that’s going to make you win, and everyone else out there who’s listening is by not letting it become a stumbling block. I think too many times people say, “Well, I’m just not smart enough to figure that out, so there’s no way I can start an online business.” No, I say it all the time. If it’s important to you, you’ll find a way. If it’s not, you’ll find an excuse. Shane: And I love what you said, too, earlier about there is a tech obstacle. Everybody’s got to get past the tech speed bump sooner or later in their online business, right? Even if you know how to start a blog, even if you knew how to start a Facebook page, you may not know how to install a membership community or set up payments. Jocelyn: And that’s okay. No one knows that starting out. Shane: Nobody does. We all have to go out and figure it out and the people that make it are the people that figure out ways to overcome it in their own way. You were saying it earlier that the phones are making it easier for you, right? Yes. Listen, I bought an iPad Pro and I got the new iPhone. My goal is to be able to run our business on my phone and my iPad. I don’t want to use a computer anymore. I want to film from my phone. If I’m going to do a Facebook live or a video, I’m just getting my phone out. I’m not waiting on a big expensive camera. I want to be able to upload stuff to my YouTube channel from my phone, or an app, it’s so much easier. If I’m going to edit something, I’m going to do it right on my iPad, I don’t care. You have all the tools right in front of you, you’re going to be able to overcome those things. Even if you can’t figure something out, there’s nothing wrong with saying, well, I’m not going to do it that way, I’m going to find another way. One of the things that hold a lot of people back selling lesson plans is maybe they do have a technological problem, they can’t figure out PayPal or whatever. So we just send them to a third party market, go to Kajabi, go to Teachers Pay Teachers and upload it there, sell it through their platform, it’s easier. We’re going to find a way to get past the technical problems so that you can shine in your area of expertise and really make big money online. Okay? 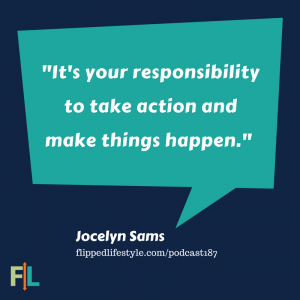 Jocelyn: All right David, so you had been making a lot of progress so far, which is awesome, but this is the part of the show where we want to know how we can help you get to the next level and continue to flip your life. 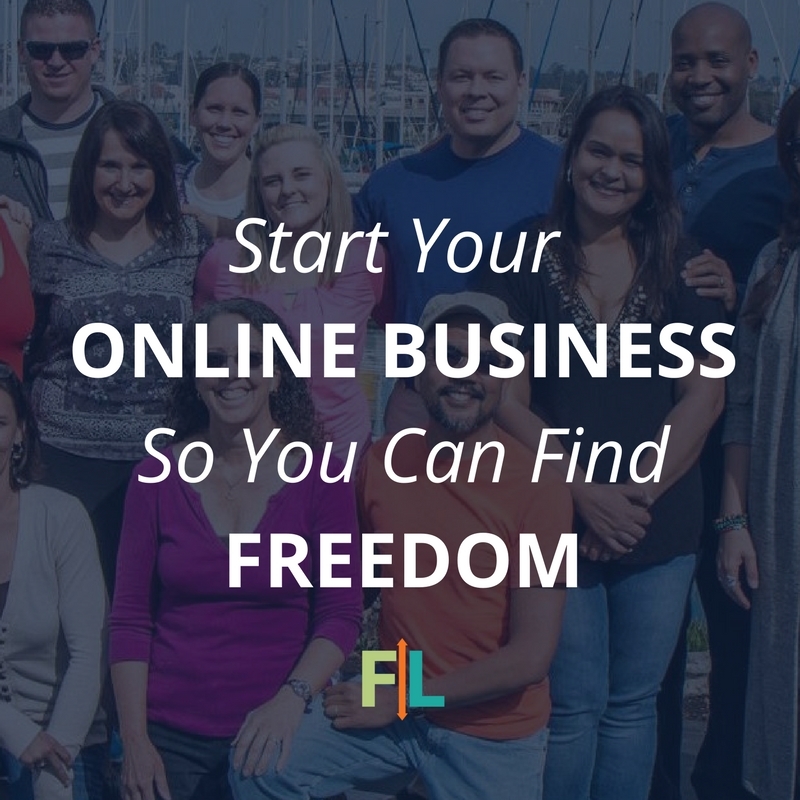 What’s the biggest question that you have right now in your online business? David: Probably the biggest question is– and I know it probably sounds silly on the surface, but how do I get the information that’s in my head out into a form of an offer? It probably needs to be membership-based and that sort of thing. I guess my stumbling block is on how to get started with an offer. Because there’s so much in my head, and I don’t mean to sound that arrogant. That sounds silly, but where do I start? You know, when somebody comes to me with the horse that they don’t know how to handle, I immediately evaluate the person and the horse in real life, in real time and then I just kind of go with where they’re at versus starting to put like a program online and I don’t have a program. There are a lot of guys out there that have well-established programs, which is intimidating because I don’t have a program. I just kind of read the horse and really, that’s where it comes from. I come from more of the angle of helping the horse. The horses are easy, then you have to figure out how to train the person to understand the horse really. That’s hard to explain in a video. It’s definitely hard to explain in writing. You had mentioned Coach’s Eye, on a member call that we were on and we went and looked up that technology and we’re still playing with that a little bit. Trying to figure out how to make it apply to us. Jocelyn: I think this actually reminds me a lot of our business, believe it or not, because we have so many people from so many different backgrounds at so many different levels in online business, and a lot of times people will ask us, “Hey, I’m an advanced level or I’m a beginner. Will your program work for me?” So, I think that there are a lot of parallels between us, actually. Shane: Here’s what we had to do. One, you’ve just got to start teaching people and you’ve got to do it online because you’re not going to totally know that until you really start working with some people. You may need to just say, “Hey, sign up for my coaching program online,” and you don’t even really know what you’re doing, but you’re like, “Alright, you go film yourself with your horse. Let me look at it and just see what happens.” So that might be a way to break the ice, is just to start playing around with it. Jocelyn: But you’re going to start to see trends. Shane: Yeah, you are. I actually got onto somebody yesterday because they were like, “Well, I’ve got all this figured out. I’ve got X, Y, and Z and it’s just not working. I don’t know why.” And I’m like, “Okay, explain your avatar to me. Tell me the person you’re thinking about, the true beginner in your field.” They hadn’t even done that step and I think that’s what you have to do. This is why it’s so important to make an avatar is you’ve got to stop thinking about every person you’ve ever worked with. You’ve got to stop thinking about every person you ever will work with, and you have to think of Bob or Sally. What if someone truly came to me, bought the horse on the way to my barn, and showed up. Literally, after they got off work, they decided to buy a horse. True beginner. There it is, bam! What would be the first thing I said to them? Write it down and document it. What will be the second thing I said to them, write it down and document it. You’re going to figure out eighty percent of what you’re actually telling these people, even though you’re evaluating the person, evaluating the horse, eighty percent of that is probably going to be the same. Well, the first thing they need to do is set goals. They’ve got to figure out what they want their life to look like. The second thing they have to do is come up with a business idea. The third thing they have to do is figure out who they’re going to sell that to. The fourth thing is going to have to come up with a product, and then they’re going to have to create the infrastructure, and then finally do a sales funnel to sell it. But people now come to us, and they may have already got their goals, they need an idea, so they joined and we point them there. I’ve already created that whole process, so when someone needs something else, maybe someone has all the other things and they just need a website, I point them to that course. You’ve got to be able to start from the beginning. Create that first five-step process, your first four weeks you would spend with anybody that got a brand new horse. The 80% of that that’s common between everybody else, that’s what you’re going to turn into videos. That’s what you’re going to go out and film yourself doing and training and then the other 20% you fill in the gaps with your forums, member calls and things like that. Does that make sense? David: Yes, yes. That’s kind of what my wife has been saying, that’s where we need to go. I guess that’s somewhat a little bit where I’m– If I do have any pushback, that’s it. That’s the answer. I know what it is. I’d like to work with a more advanced rider, I guess you’d say, but like you guys were always talking about the low hanging fruit. Probably the rank amateur is probably the best. Yes, you’re going to have to help me get over that internal struggle of getting on the horse and the fear of the horse, but you’re still going to say, “Grab the saddle here. Put your foot here. When you jump up, do this. Shift your body weight–” like those. There are fundamentals that are the same, that’s the content you’re going to create, that’s what you’re going to film. Then you can work with people in other ways like, “Hey, if you’re afraid of horses, do X, Y, and Z.” We have mindset courses in our membership for that very reason. Jocelyn: The next thing that you’re going to need to do is you’re going to have to decide how you want to deliver the content, and this is going to be determined on what you want. Do you want to record videos of yourself? Do you want to have a presentation with pictures? Do you want to have audio? like you have to decide how you’re going to deliver it, is going to be your next thing. Shane: And I believe from watching your Facebook page and knowing you, video is the way to do this. Shane: You know, stalking you, because I’m the president of the David Fan Club… of the cowboy fan club. David: You definitely get more traffic from people when it’s a video. Shane: Yeah, and you’re going to be able to do so many things. You’re going to have to do YouTube videos and you’re going to say, “How to put a saddle on a horse,” “How to do–,” whatever, X, Y, and Z. It’s just easier to show that and just go out and do it. You don’t really need a lot to do that. All you need is you order a wireless mic, you plug it into your iPhone, you point it at the Horse, you hit record and you go do your thing. Jocelyn: But something you can do that’s cool is what we did with the blueprint files and what Shane did, he likes to record audio, so he recorded a lot of audio and he hired someone to make presentations for it. Shane: Yes, you can do the same thing with your editing. You don’t have to worry about the tech. All you’ve got to do is point your phone and talk, and do your thing and show people what’s going on and then go hire an editor to make it look pretty. Don’t fight the technology, if you don’t want to. Jocelyn: But go ahead and sell the videos, and that’s how you can get money to hire someone to make the written part. Shane: I think what you need to do is you need to write the cowboy blueprint, the horse training, “The Cowboy’s Guide to Riding a Horse.”. You need to just sit down one day with a piece of paper on one sheet on the front. If someone came to you, how would I teach them how to get on the horse to ride it, to give him commands? Those are the things that you’re going to create content with and then you’re going to create this community that people pay you to be a member of to help them when they say, “Hey, David, today I’ve tried to do Video 2, and when I did this, the horse pulled away from me, and I freaked out and I ran,” or whatever. That’s where you’ll address those specific issues. But here’s what’s amazing about leading a community, you can answer their question with another video and then you just add that video to your course. So, on the top is the video of you getting on the horse and then here’s, “Hey, Sally couldn’t get on the horse because she was afraid. Jim couldn’t get on the horse because he had short legs.” I don’t know, whatever. You’re just going to like give people solutions to these problems and your content will grow over time so people can find this. Jocelyn: I love how two people who know nothing about horses are talking about what to do with horses. Shane: Yes. Remember that show, Frasier? It’s the guy that was on Cheers. There was an episode where Frasier and his brother were trying to ride bikes, and they got really frustrated that they couldn’t ride bikes. They’ve never learned how and one of them goes off and says, “Maybe two people who don’t know how to ride bikes should not try and teach each other how to ride a bike!” But you get our main aim. Jocelyn: And Frasier is our favorite show. Shane: Yeah. Usually what happens is, let me just sum all this part up. If you don’t know how to teach your thing because what you do is really hands-on with the person, normally, what we say to do is figure out the eighty percent of the stuff that’s common to everybody. Everybody that starts in online business has got to take payments. Everybody who starts with online business has got a create content. Everybody’s got to have some platform like a website or a Facebook page. Those are all the things that we built our content on initially. You will build in the other 20 percent while you’re coaching, while your community talks to each other and that content will grow over time. If you go look right now, our sales funnel course used to be just a sales funnel video, but then people were like, “Hey, how do I actually make a sales page?” So I made a video and I added it. “Hey, how do I make a thank you page?” So I added a video and did it. We did a live event one time and I was like, “Hey, I’m just going to do a case study here of me creating this using the Flip Your Life blueprint,” and I recorded that. I documented it. Document all those things going forward. Your content is going to grow. You just need something to seed it that you can sell right now and then all that stuff will figure itself out. Jocelyn: And I say this all the time, but I think in your mind you’re making this too hard. Shane: Very much so. Like if you would just think about what are five things that I do as a cowboy every day, or a horse rider every day that I could go and film myself literally due by next Friday. Monday, I’m going to film myself getting on the horse. Tuesday, I’m going to film myself getting off the horse. You know, Wednesday, I’m going to film myself leading the horse. Thursday, I’m going to film myself with the five most common commands you’ve got to teach your horse. And then the last day, I’m going to talk about three fears that people have about riding a horse. You just created your entire product. You could probably sell that for hundreds of dollars right now because the people who want it don’t know it. David: So would you start out with that as what you’re selling and then move to a membership, and use that product as your giveaway, your opt-in type stuff? Jocelyn: Yeah, I think that that’s a great strategy. Shane: If you did what I just said, the lead magnet would probably be “How to Successfully Get on Your Horse Without Being Thrown Off.” That would be a great lead magnet because anyone who wants to start horse riding or whatever, would probably take that. And then the other things you combined into a course, you sell that right now, and you got it. And your following is probably big enough for people who would probably buy it, I think. Jocelyn: You could even start the membership now, I think. I mean it just depends on how fast you want to jump into it, but I think you could really even get that started. Shane: Yeah, we started with courses first. We would do cohorts. We would do like, alright it’s the January Flip Your Life course and we would let them watch the videos and then we would answer questions from it. Jocelyn: I think we sold it that way like three times. Shane: Three times. We would take a month off, make it better than we sold it again. Took 20 people, asked their questions, added some more content, and then we did it again. After the third time, we were like, “Okay, now it’s time to actually get people to pay us monthly.” We’ve got a good content base. We know what people are asking the most common questions and that’s how we built Flip Your Life. And then when we opened the doors we had a couple of hundred people join within the first couple of weeks and it’s off to the races at that point. Shane: And improving it before we even opened the doors to a membership community. That was a lot of information! Jocelyn: Right, I feel like we threw a lot of information out there. Shane: I think we knocked that ten-gallon hat right off your head. I’m just saying, you know what I’m saying? David: My hand’s cramping from writing it all down. Shane: Well, we’re recording this. 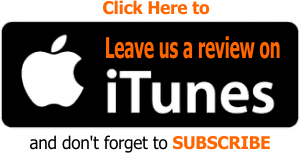 We’re going to launch this podcast; you’re going to listen to it again. Jocelyn: Alright, David, well, this has been a very action packed call, and I know it might be a little bit hard to think about right now. Shane: A little overwhelming sometimes. Jocelyn: Yes, we’ve thrown a lot of information out there, but before we go, we want to know, based on what we talked about today, what is one thing that you plan to take action on? Like in the next 24 hours based on what we talked about today? David: I guess to start recording myself. David: Just everyday elementary type things that I take for granted that are easy to get on camera so that they can be uploaded quicker to have a product actually available for content. Shane: I’ll tell you what I would do, too. I’d get your wife to come out with you. Do you have a ring or something like a horse ring that you can ride out there on your property or anything? Jocelyn: Does he have a horse ring? Shane: Yeah, never mind. I’m talking to a cowboy, what am I talking about? Shane: I get it. I’m trying to figure this out! I’m trying to learn! Okay, I need a horse. What you need to do is… I wouldn’t even try to teach anything at first. Have your wife go set up her phone, maybe over on the fence or something pointing out to the ring, and then have her kind of just follow you around at different angles for a little while. Just have some fun with it, and just ride your horse. Just enjoy it for like 30 minutes. Just get off and on, ride it. Then go back and throw that up and just watch it a little bit and start taking notes on things you are taking for granted that you’re doing, like how you’re getting on, where your left foot is, where your right foot is, how you’re getting off, things you’re saying, what you’re doing and make it a really enjoyable experience. And now, say to yourself, “I’m going to break this down to where a novice could enjoy that experience as good as I did,” and then you’ll learn exactly what you need to teach people from that first video. Shane: Well, David, this has been one of my absolute favorite podcasts that we’ve ever done. Ever since we met you, man, I just knew that you got all the ingredients, all the puzzle pieces in place to make this successful, to transition it from the real world into the online world and also to help a lot of people to be able to go out and do something they enjoy. So thank you so much for coming on the show and being so transparent with the Flipped Lifestyle audience. David: Thank you guys for inviting me! Shane: Alright, guys, that wraps up another call to one of our Flip Your Life community members. 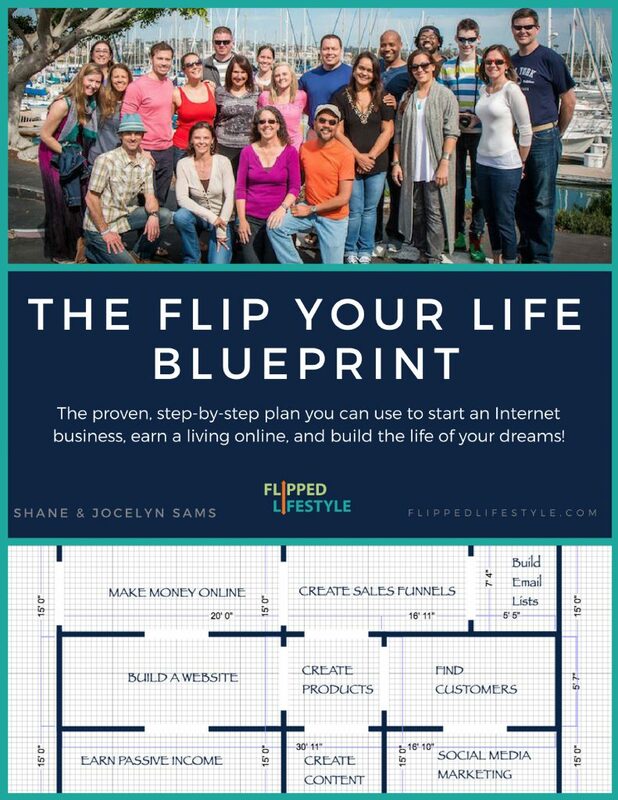 If you would like to become a member of our Flip Your Life community, head over to flippedlifestyle.com/flipyourlife, and we can help you with your online business as well. Not too long ago, we were able to have dinner with Lea and her husband, and it was an awesome time. We just got to hang out and talk and learn more about them and what they’re trying to do online, and just have a really good time. It was really, really fun. We went to a really upscale Mexican restaurant, which was amazing. We just had a lot of good laughs and enjoyed each other’s company a whole lot. Shane: It was really cool. We were about to go on a trip and sometimes, when Jocelyn and I go on trips, we will go into our customer service management system, and we will look up and see if we have any members there. We were heading to this town and we said, hey, let’s see who lives there. And Lo and behold, there was Lea Saccoman. Lea, I hope you’re listening to this. But we reached out to her and said, “Hey, we’re going to be in town. Do you want to grab dinner? And then she was like, “Yeah!” We jumped in there and had a great time. It was so much fun! That’s one of our favorite things to do is to connect our travels with our Flip Your Life community members — it was just really awesome. I’m glad that we were able to make that work out and you know, for all of you Flip Your Life members out there, keep an eye on your email. We travel a lot, so hopefully, we’ll be able to eat a lot more dinners and have a lot more meals like that, and just really break bread when we’re out there on the road this year, too. As much as we love to share our Can’t Miss Moments with you guys, there’s something that we love to share even more and that is a success story from one of our Flip Your Life community members. 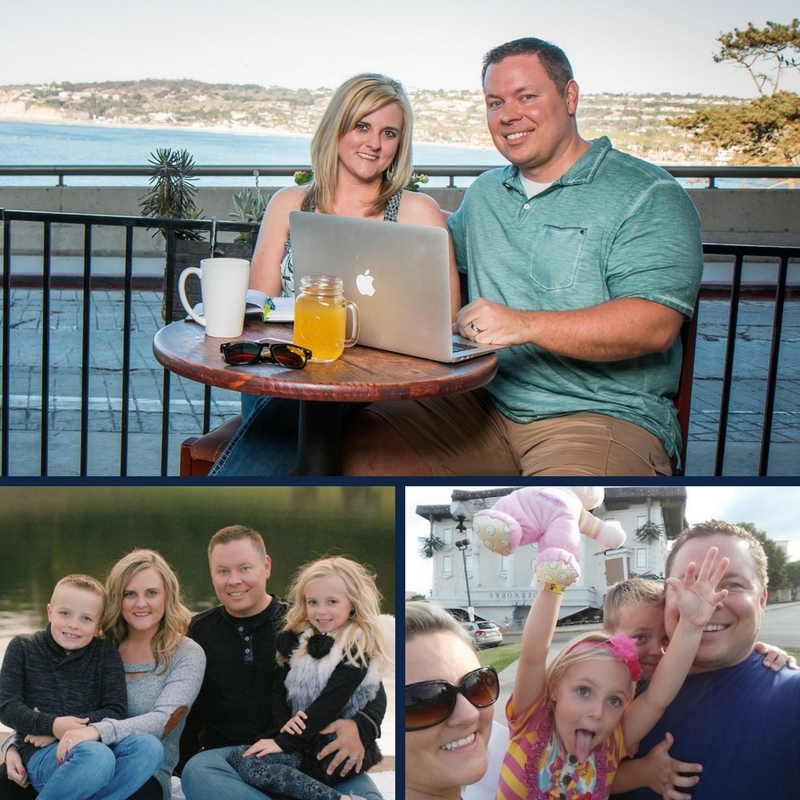 So before we go, we wanted to share an actual success story from the Success Forums in the Flip Your Life membership. Shane: Guys, think about that. Imagine if you could get 67 people to give you $50 a month, right? I mean, that’s mind-blowing, life-changing money and most people don’t think, “You mean, I can raise my prices and get more people to buy?” And that’s exactly what Teresa did here. So just an awesome story. Jocelyn, take it away! Shane: I want to jump in here and say, if you ain’t on the Flipped Lifestyle member calls that happen every couple of weeks, you’re missing out because they are a shot of adrenaline — an amazing experience. You get almost a hundred people showing up on a call. We’re throwing out answers to questions left and right. And it’s just one of the funnest things we do. So for all you Flip Your Life members out there, or for anybody listening who’s not in the Flip Your Life community, you need to be on these member calls, get in there. They’re amazing! Shane: Because that’s how we roll. Shane: Think about that! She literally just hit send on three emails, and 67 new people joined her community. Here’s the best part: that’s doubling her membership. Read that next part. Shane: How amazing would it be, you guys, to get 67 people all of a sudden join your membership? And then what if you had 60 people, and you doubled your income for sending three emails? Absolutely, positively an amazing story, Teresa. Thank you so much for sharing that! Jocelyn: And it’s all because you took action. We told you to do something. You did it and something good happened! Jocelyn: I love it, again, when people listen to what we say. Shane: It was the advice, and because we’ve been there and we’ve seen so many businesses and all those things, but what made this happen was, Teresa had an idea, she asked someone, “Hey, do you think this is a good idea?” “Yeah, sure. Go for it.” And she did it. Do you know how many people ask us questions every single week, but they don’t take action? They don’t do anything. I mean, Teresa may have done this and may have only got 10 members or five members, but she took action and got more. She went forward because she moved. She got unstuck. It’s just an amazing success story. We’re not just saying, “Oh, we have all the answers.” That’s not what Jocelyn saying here. It’s, “Hey, do stuff, take action.” Talk about it with the community, see if you know somebody’s done it before, get some input, and then make the call and swing for the fences. And Teresa swung for the fences. She got 67 new members and here’s the best part: she’s about to raise your prices again and hopefully, she’ll get 67 more. So awesome stuff, amazing success story, and we are super proud of you, Teresa, for what you did and you took action. That’s all the time we have for this week. As always, guys, thanks for listening to the Flipped Lifestyle podcast, and until next time, get out there, take action, do whatever it takes your life.